Too much gray water or bilge water? 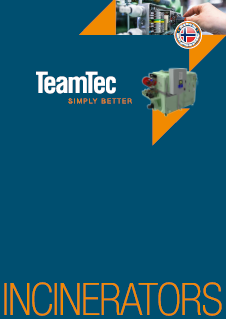 Next time consider installing a TeamTec incinerator with its unique Bilge Water Injection system. Too often we see headlines like: Shipping Company to Pay $2.7 Million in “Magic Pipe” Pollution Case or Shipping company to pay $1.5 Million in pollution case. In the first case senior engineers conspired to connect a flexible hose, known in the industry as a “magic pipe” to discharge tons of heavy oil sludge and bilge water into the ocean due to rare use or non functionality of the vessel’s oil-water separator. The vessel’s two top engineers were sentenced to serve prison sentences in connection with these crimes. In the 2nd case The ship operator, and the ship owner, were found guilty of violating the Act to Prevent Pollution from Ships and falsification of records. In addition to the $1.3 million fine, the judge ordered a $200,000 community service payment. The vessel travelled from China to Seattle with an inoperable oily water separator. On separate occasions during the voyage, the defendants discharged overboard approximately 5,000 gallons of oily bilge water, and then attempted to conceal the incidents from the Coast Guard by making false statements and omissions in the ship’s oil record book. The companies were placed on five years of probation and required to have environmental compliance plans in place. The two engineers who operated the ship’s equipment and falsified the log books were sentenced to prison terms before returning home. The need to act illegally as well as the fines, could have been avoided, even in a situation where a vessel’s oil – water separator is not functioning. A TeamTec incinerator with bilge water injection installed on the vessel could have prevented the need to dump polluted water. The bilge water injection function will reduce the load on oily water separator by utilizing the heat from the sludge oil combustion from burning sludge with less than 40% water content. TeamTec has unique capacity to handle bilge water injection due to high operating temperatures in the incinerator. A well balanced incinerator with a strong draft is necessary to be able to do this without consuming huge amounts of MGO which would normally be needed as support fuel to lift temperatures back into the higher temperatures for incinerators which operate at lower temperatures. TeamTec’s incinerator GS1000 has capacity to evaporate up to 2 tons of water per day in the incinerator’s combustion chamber. To evaporate this amount of water approximately 2000 liters of sludge oil will be needed. The bilge water or gray water is fed into the incinerator via a small holding tank and a dedicated atomizing nozzle. 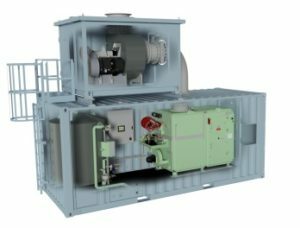 Some of our incinerator models can also be retrofitted with bilge water injection function. Read more about our Incinerators here.